Honda was recognized in January at the National Association of Minority Automobile Dealers (NAMAD) and IHS Markit Diversity Volume Leadership Awards, winning Top Overall Ethnic Vehicle for the Honda Civic. The DVL Awards, which were handed out on the eve of the Detroit Auto Show, recognize brands and vehicles that reach out and appeal to a broader customer base. The Honda Civic was America’s best-selling car at retail in 2018 and for the past three years, and its status as the Top Overall Ethnic Vehicle represents its appeal to Americans of all walks. Using market data from IHS Markit analyzing more than 13 million new vehicle registrations between October 2017 and September 2018, the Civic was found to be the overall industry leader in terms of new vehicle registrations among ethnic customers. Not only was the Honda Civic the Top Overall Ethnic Vehicle, but it was cited as the volume leader among Hispanic American consumers as well as the ethnic volume leather for the Western region of the United States. Additionally, the Honda Pilot earned the award for volume growth leader amongst Asian Pacific Islanders, and the Honda Grom won Top Ethnic Sport Bike. Stop into Avery Greene Honda to check out the 2019 Honda lineup. There’s a Honda for everyone. The new 2018 Honda Civic has undergone numerous refinements and “perfections” to make it an even more competitive and alluring compact car model. Fresh modifications and expanded options make this vehicle a smart choice for any Civic fan. The base trim 2018 Honda Civic four-door earns an impressive 42 mpg on the highway. * If you’re a road-tripper, daily commuter, street-racer, or any sort of driver in between, the extra few miles you receive from the Honda Civic is a true game-changer at the pump. Do you need a little more flexibility in your daily drive? 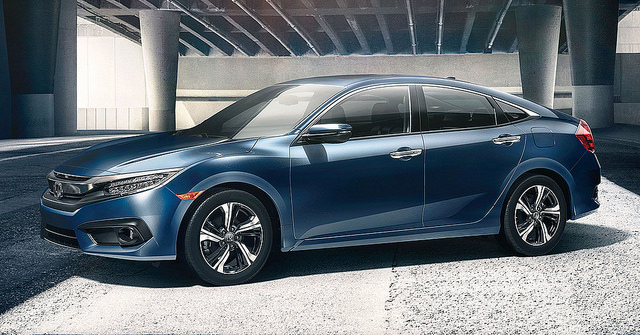 The Honda Civic now has a four-door hatchback trim, combining the versatility of a hatchback with the sporty details now found on the refreshed Civic sedan version. While some brands like to pretend hefty price increases are normal with each new model year, Honda isn’t one of them. The new 2018 Honda Civic maintains its commitment to affordability by increasing its MSRP by only $100-$200. Stop by Avery Greene Honda to test drive this well-rounded model for yourself. Just be forewarned—you might just drive one home! The 2017 Honda Civic has been the source of enthusiastic praise and admiration with its sporty style and sleek, ergonomic interior. The popular compact car already comes in both sedan and coupe body styles, but there’s something missing. We’ve already seen the European 2017 Honda Civic hatchback at the Paris Auto Show, but now the American version has been caught on film. The orange markers on the fenders are a dead giveaway that the pictures of the Civic hatchback are indeed of the American model. It will officially join the sedan and coupe Civics that are already on sale later this fall. The hatchback will offer only one engine choice for the initial launch. A 1.5-liter turbocharged four-cylinder block that produces 174 hp and 162 lb-ft of torque will sit under the hood of the LX, EX, and EX-L. Power peaks in the Sport and Sport Touring trims at 180 hp and 177 lb-ft of torque with a six-speed manual transmission. Those interested in the upcoming Type-R model can sing praises as the hatchback will serve as the base for the performance-driven model. Expect the Type-R Civic to hit the market in 2017 and bring more than 300 hp to the road. We at Avery Greene Honda can’t wait for the arrival of the new 2017 Civic hatchback! The Honda Civic is a popular, reliable, and iconic car, though not one that most people would commonly associate with the term “sporty.” That’s what Honda is hoping to change by introducing fashionable new Civic driving shoes. According to the brand, the shoes were the brainchild of online publication Thrillist, who approached both Honda and fashion retailer JacksThreads.com in order to make it happen. Thrillist is a repeat partner with the brand, having collaborated with Honda in the past for various branded content projects. The partnership arose out of the two brands brainstorming on how better to connect with their buyer bases. When Honda questioned personal preferences of Civic drivers, one common thread appeared: many of them had an interest in fashion and style, according to Honda’s manager of media strategy Phil Hruska. JackThreads sneaker designer Michael Vincent worked together with Civic exterior designer Jarad Hall in order to capture the overall feel of the car while designing the shoes, named the HT3s. The name ‘HT3’ reportedly refers to the three core design cues that went into designing the Civic: high-touch, high-tension, and high-tech. The shoes, which feature a sleek design with a folding cover that hides the laces, went on sale March 29th, making their debut in Los Angeles. On the JacksThreads site, the HT3 Civic driving shoes retail for $100 and the product description highlights the shoes’ connection to the sedan, complete with a link to a Honda-sponsored backstory regarding the creation of the HT3s. Early this month, the 2016 Honda Civic joined three of its fellow models on the 2016 IIHS Top Safety Pick+ list. 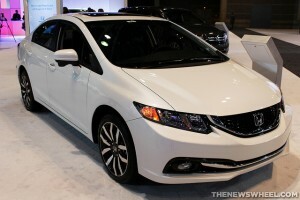 The new Accord Sedan and Coupe, the CR-V, and the Pilot were also named to this list. The Top Safety Pick+ rating is given to vehicles that earn an “Advanced” or “Superior” score on their front crash test. The Civic Sedan, also deemed the 2016 North American Car of the Year, offers a wide range of safety features in addition to receiving excellent crash test ratings from the Insurance Institute for Highway Safety. 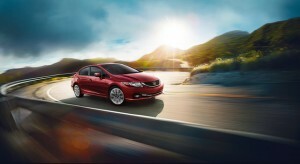 The Civic includes the Honda Sensing technology suite, which raises the bar for the compact car class. This suite includes driver assist technologies like a Collision Mitigation Braking System, Lane Keeping Assist, Adaptive Cruise Control, and several others. Civic Sedans also come with Stability Assist with Traction Control, a rearview camera, and its Advanced Compatibility Engineering body structure, which gives it unbeatable strength in crash situations. No wonder the Civic is considered one of the safest cars on the road! 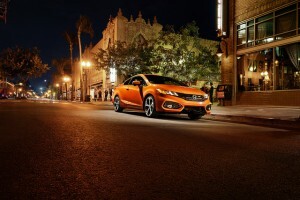 The all-new Honda Civic recently received top honors from Kelley Blue Book (KBB). The KBB Best Buy Awards are given to vehicles that exceed in performance, efficiency, styling, technology, affordability, and more. It’s no wonder the Civic took home the gold. 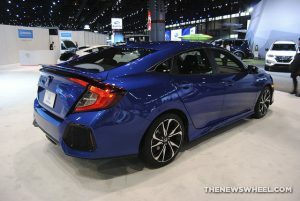 According to Honda, the 2016 Civic topped the Overall Winner category; however, there were also some winners in other categories. The Civic also won the Small Car category, the CR-V won the Small SUV category, the Pilot took the Mid-Size award, and the Odyssey dominated the Minivan category. The KBB Best Buy Award was specifically given to the new Civic because it is a market-leader in every segment. It is new and updated, with a fresh exterior and interior, the best in safety, tons of features, and fantastic performance. What’s not to like about the new Civic? The best-selling Honda Civic is going into its 10th generation with style. The Civic has become a well-known nameplate, as well as the basis and inspiration for many compact car designs on the market. However, the 2016 Honda Civic design was revealed at a Los Angeles event recently, and for the next generation Honda seems to be taking the car in a sportier, more youthful direction. The compact car will come in a base model as well as five-door hatchback and coupe styles. Two higher trims will be offered: Civic Si and Civic Type-R. The 2016 Civic design has kept some of the style from the Civic concept unveiled at the 2015 New York Auto Show and its cabin—which is positioned further back on the body of the car, along with the sculpted wheel arches—grants the Civic a less traditional, more dramatic and muscular appearance. The 2016 Civic will also come with a more powerful engine ever seen in a Civic, according to Honda. The base model comes with a 2.0-liter 4-cylinder engine with i-VTEC variable valve timing, while there is also an available 1.5-liter turbo engine–the first turbocharged engine to be offered with a base Civic. In terms of tech features, the 2016 Civic will also feature a 7-inch touchscreen display that is compatible with both Android Audio and Apple CarPlay. The 2016 Honda Civic design has been revamped to lure in new, younger buyers, and with its new looks, standard features, and available options, it may do just that. The Civic is slated to appear on dealer lots sometime this fall, with pricing to be announced closer to the release date. The new 2016 Honda Civic design has officially been revealed thanks to CivicX.com and its ability to dig up patent drawings from Honda. The drawings reveal what both the coupe and sedan style Civics will look like…and we’re excited! The Civic Coupe concept that originally debuted at the New York Auto Show earlier this year gave us some insight as to what the new production model would look like. Now, according to the drawings, the new Civic will keep some of the elements from the New York concept, which definitely makes us happy! In addition, it will feature more angular headlamps and front fascia, but the tail lamps will not be much different. If you’re interested in breaking down all of the differences concerning the 2016 Honda Civic reveal, check out the side-by-side of the patent drawings and the concept that debuted in New York. 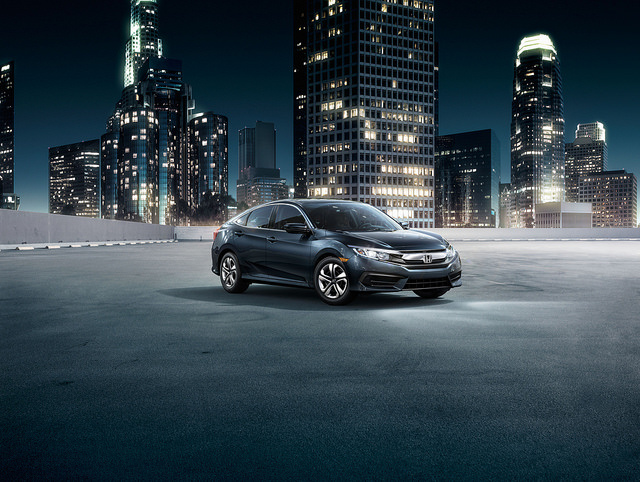 In any case, we’re excited for the 2016 Civic to arrive here at Avery Greene Honda and we hope you are too! In stunning fashion, the Honda Civic Type R officially clobbered its past Nurburgring lap time and crushed stereotypes about a front-wheel drive in the process. The upcoming 2015 Civic Type R posted a lap time of 7:50.63, beating the previous front-wheel drive record of 7:54.36. Honda released the video of the Civic Type R’s lap time and it will surprise you as much as it did anyone else. The turbocharged Type R generates 306 horsepower and has a top speed of nearly 170 mph; it’s outfitted with a three-pedal manual gearbox. The Honda Civic Type R’s Nurburgring lap time is only 10 seconds off of the pace of the Porsche Cayman GT4 and 30 seconds off of the Porsche 911 GT2 RS. Although the Honda Civic Type R is only bound for Europe we at Avery Greene Honda still love it just as much! If you want to see the full video of the Civic Type R’s Nurburgring lap time check out the video below. The 2015 Honda Civic lineup is growing, offering more options than ever before—and it looks like they’re only going to get greener. 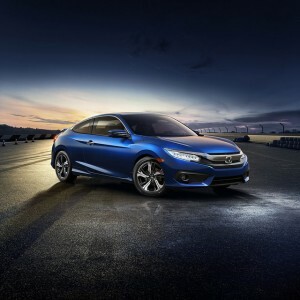 Joining the already-released Civic Sedan, Civic Coupe, and Civic Si are the 2015 Civic Hybrid and Civic Natural Gas. These two Honda alternative fuel Civics provide consumers with fuel-efficient choices when considering the Civic model, all for a low price. The Civic Hybrid boasts an impressive EPA-rated fuel rating of 45 miles per gallon combined, while the Civic Natural Gas boasts a 31 mpg combined fuel rating. Because of their impressive fuel economy, the American Council for Energy-Efficient Economy recognized these two vehicles as part of the top ten Greenest Vehicles of 2014. 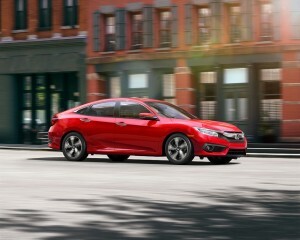 But these Civic models aren’t just fuel-efficient—they offer plenty of sophisticated features, too. These features include a 7-inch touchscreen Display Audio, which helps view and control a variety of systems including audio, phonebook, media, and vehicle information. It’s also the platform for HondaLink. A rearview camera comes standard on all Civics, while a Smart Entry with Push Button Start helps the Civic Hybrid start with ease. With all these features and terrific fuel economy, there’s no denying that the Honda alternative fuel Civics are a great way to save on fuel costs. Stop in to Avery Greene Honda to see what these models have to offer.